This is a news story put together by CFJC TV in Kamloops (British Columbia, Canada) on our continuing fog collection projects in Nepal. It features brief interviews with Robert Schemenauer and Byron Bignell. The fog collection technology was introduced into Nepal about 15 years ago on visits by filmmaker Kevin Kowalchuk and the original FogQuest field project director, Pablo Osses, working in collaboration with Robert Schemenauer. FogQuest works with Canadian based groups NCDC and NCDF as well as the Nepalese NGO NEWAH. In May 2014 we’ll be returning to the Ilam district and to Panchthar to retrieve the data collected over the past six months. We’ll also be updating the metering equipment with a new and improved remote monitoring sensor that has better power management and a larger more efficient solar panel courtesy of Voltaic Systems (www.voltaicsystems.com). The existing equipment will be brought back to Canada for upgrades and maintenance before being brought back to Nepal in October by Byron Bignell when he begins the research for his masters degree. Melissa Rosato has just spoken to the people in the village and the news is excellent. The Large Fog Collectors have again performed very well through the dry winter season. All family water tanks are full and all the fog collectors that FogQuest has built since 2006 are in good working condition. We also are collecting information in the nearby village of Siete Piños to determine if it is viable to start a new water project there. There are several books that have come out recently that will be of interest to visitors to our site. One is on Tropical Montane Cloud Forests by Sampurno Bruijnzeel and co-authors. These forests receive a large portion of their water input from the fog that covers them during significant parts of the year. Also, Pilar Cereceda, an active member of FogQuest, and Ana Maria Errazuriz have written an Atlas of Chile and the World, which has been published by the largest Spanish educational publisher for use in schools in Chile. The first order was for 300,000 copies! Bruijnzeel LA, Scatena FN, Hamilton LS. (eds.). 2010. Cambridge University Press: Cambridge, UK, 768 pp. FogQuest is discussing the schedule for the construction of 15 Large Fog Collectors (LFCs) with the leader of the project, Dr. Jamila Bargach, Director, Dar Si-Hmad, Sidi Ifni, Morocco. She is presently arranging the funding. It is expected that FogQuest will have at least one person in the field in July to direct the construction phase and to work with the people of the villages, Dar Si-Hmad staff, and Professor Victoria Marzol (FogQuest member) who has carried out the field evaluation over the last four years. The project is designed to benefit three villages and at least one large school. It will consist of fog collectors, pipelines and one or more cisterns. The village of Peña Blanca, about 400 km north of Santiago, is located in a region that has extensive fog in the coastal mountains. In November, Pilar Cereceda, Professor of Geography at the Catholic University in Santiago, and Fernanda Rojas, FogQuest volunteer, built a Large Fog Collector in Peña Blanca as a training exercise for students who we hope will be FogQuest volunteers in the years to come. The project site will also be used for a comparison of a donated material to the Raschel mesh that FogQuest uses in its projects. Ultimately, we would like to develop the site as an operational fog collection project to benefit the village. Otto Klemm, the Chair of the 5th International Conference on Fog, Fog Collection and Dew that was held in Muenster, Germany, has taken the lead in preparing a paper summarizing the present status of fog collection in the world. It has been submitted to the scientific journal ERDKUNDE and is in the review process now. A new project to evaluate the fog collection potential in the central highlands of Tanzania, south of Arusha, is underway. The lead on the project is our partner NGO in Germany, p(e)d-world. They have established formal contacts with a local NGO and with schools and villages in need of clean water. 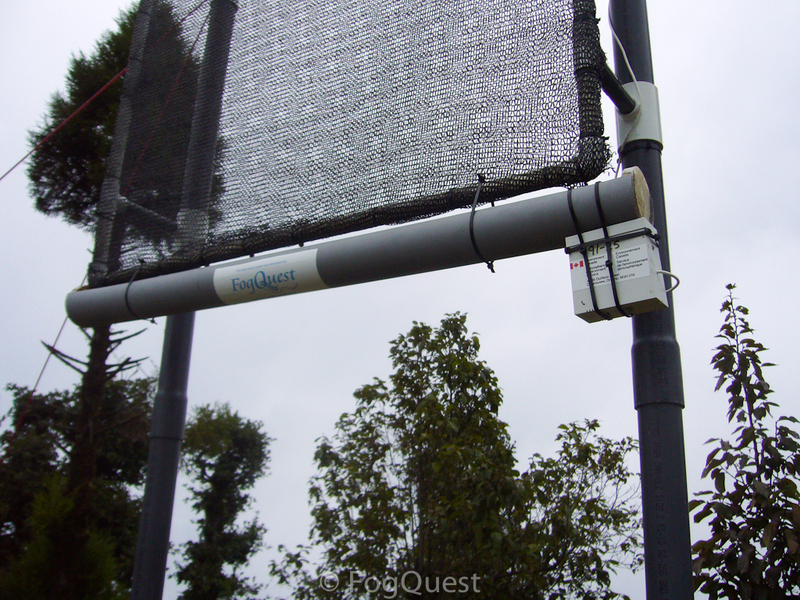 With guidance from FogQuest, the first small SFC was installed in October by Joachim Holst, a volunteer from Germany. 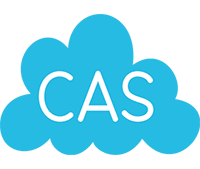 Initial results look promising and when more information is available an entry in the Current Projects section will be written. Tony Makepeace, a long-serving director of FogQuest, was in Nepal in October to visit the Pathivara (Temple) site near Ilam in the east of the country and to start a new initiative in Katmandu. The two 40 m2 fog collectors at the temple have worked very well for a year and produce about 500 liters of water a day for the monks and visitors. 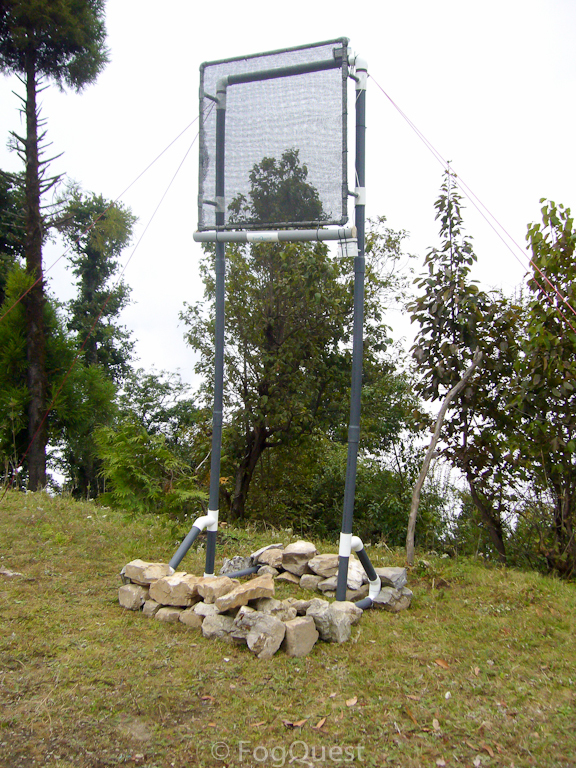 Tony also works with another organization, NCDF, that supports Nepal and together we are working with a small sustainable development company,FoST, to see whether an affordable Medium Fog Collector can be built centrally for installation around Nepal. A short video of this project can be seen here in the video section.